With celebrities like Madonna embracing the faith, it's no surprise that people are clamoring for Kabbalah tattoos. There is a lot of debate about what Kabbalah is, and subsequently, what it isn't. In a nutshell, the Hebrew word Kabbalah translates to "tradition", and it's basically Jewish mysticism that attempts to discover and understand hidden meanings in the language of the Torah, the first five books of the Bible. It is the most advanced form of studying the Torah, and it has been traditionally restricted to select Jewish scholars because it's believed that understanding the hidden meanings brings great power, and with great power comes great responsibility. A resurgence of interest in the Kabbalah is translating into requests for Hebrew-style tattoos. These designs are meant to express and share an individual's personal spirituality. Hebrew lettering is the main basis for Kabbalah tattoos, and these ancient letters are used to create designs with a variety of meanings. These days, Hebrew tattoos tend to get lumped into the same category as Kabbalah tats, although they can both be considered genres in their own right. 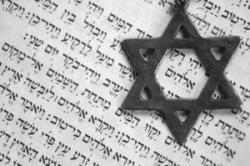 In Jewish tradition, the name of God is sacred. In fact, there are over 72 names for God. Some people believe that each separate name reveals a different kind of energy. Kabbalah tat enthusiasts tend to believe that they can harness some of that energy for themselves by having one of those names tattooed on their body. 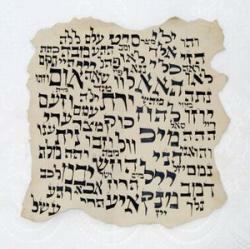 Another popular practice is to design tattoos that include Judaic scriptures that hold personal meaning to the bearer. For example, see the information on David Beckham's tattoo listed below. According to Jewish mysticism, each letter of the Hebrew alphabet has a number attached to it that gives it a certain value. This is vaguely similar to the art of numerology that is popular with New Age enthusiasts. Madonna: In her video for the song To Die Another Day, Madonna wore a faux tattoo on her right shoulder with Hebrew lettering that is roughly the equivalent of the letters "L", "A" and "V". It was debated amongst scholars that these letters didn't amount to any real word in the Hebrew language, but according to the Kabbalah Center leader, Yehuda Berg, Lav is one of the secret names of God. The energy believed associated with this particular name is thought to be one of independence and a talent for business. Whether or not this interpretation is fact or fiction, it does fit Madonna to a T.
Britney Spears: Britney's first bout with a Kabbalah tattoo came at one of her more emotional junctures, and many say this first tattoo was botched and didn't carry the "healing" meaning that Britney intended it to. The tat has since been rumored to have been fixed, and then ultimately removed. It's difficult to determine which reports are true because the tat is located on the back of Brit's neck and hidden by hair. David Beckham: Not so much Kabbalah as scripture written in Hebrew, David Beckham has a verse from the Song of Songs that means, "I am my beloved's, and my beloved is mine..."
The question whether any tattoos, even Kabbalistic ones, are forbidden comes up in both Jewish and Christian circles. According to many people, deliberately marking your body is a desecration. The practice is specifically warned against in a verse from the book of Leviticus that says not to make any marks, or "tattoos" as it is worded in some interpretations, on your body. Generally speaking, Jewish law also doesn't permit intentionally marking your body, so technically this would include tattoos. Still, people choose their own path, and some choose to profess their spirituality through their body art. Unless you are fluent in Hebrew, you need to make very sure that your Kabbalah tat design is correct and conveys the exact meaning you want it to. Otherwise you could end up with a flawed tattoo that you might wind up needing to have fixed. You should also tread carefully when borrowing spiritual symbols from other cultures, and always be sure to do so with great respect. 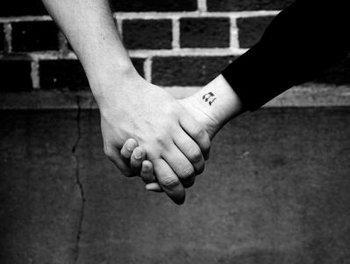 Take the time to really study the symbols you want, and you should end up with a tattoo that truly has meaning for you.